Click the links to view the product lines we carry and the logos for more information on the brands. Call or email us today to discuss the best options for your vehicle. 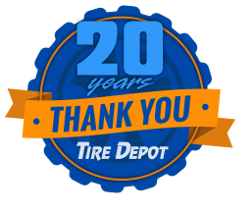 Tire Depot in Bristol, CT has an extensive selection of Cooper Tires. For more than eight decades, good merchandise, fair play and a square deal have been the pillars of our business, and we don’t plan on changing that. With that foundation, our technological edge, our global expansion and our worldwide reputation in motorsports – from your dealer experience to your drive – we're making the tires you put on your cars better every day. Call, email, or stop by at Tire Depot in Bristol, CT for great prices on Nexen Tires. Nexen Tire has over 60 years of tradition as a respected leader in the tire industry. You are unique, your car is unique, your tire needs are unique. We’re here to deliver what you need, how you need it, when you need it. We sell service. We sell satisfaction. This time it’s personal. Your search is over. Shop NEXEN at Tire Depot. Look no further! Call, email, or stop by at Tire Depot in Bristol, CT for great prices on BF Goodrich. BFGoodrich® tires let you Take Control™ of any road you choose. Anywhere. Anytime. And help you look good doing it. Tuner: Got a high-horsepower sport compact you're customizing? Here are the tires to polish off your ride. Sports Car: Looking for all-out performance for your sports car, muscle car, or hot rod? These tires take you to the edge. 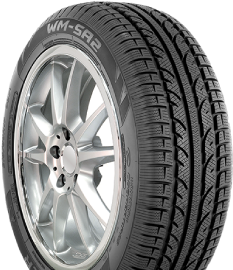 Passenger Car: Want long mileage and lasting value from your tires? Get that and more with this selection. Family SUV: Looking for SUV tires with great road manners? Get a smooth ride with these long-wearing tires. Sport Truck: Need 20" or larger ultra-high-performance tires for your customized sport truck? Look no further. Pickup Truck: Need to get where you want, when you want? These truck tires work overtime to get the job done. Offroad: Looking for the competition-proven tires off-road experts demand? Here are the only tires to consider. You've found the best source! Call, email, or stop by at Tire Depot in Bristol, CT for great prices on Michelin Tires. Tires are the only parts of your car that touch the ground! 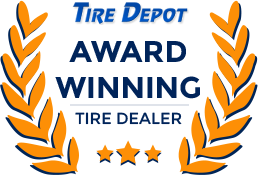 Simply call, email, or stop by Tire Depot in Bristol, CT for great prices on Continental Tires. Superior technology and services It is Continental's fundamental principle to create products that are leaders in terms of their technology and quality. Continental delivers outstanding services and excellent products through technology leadership and innovation. Continental is a driving force behind technological progress. Continental's goal is to be the best in the tire industry by being innovative, dynamic, and focused on excellence. Continental continually invests in research and development to attain a technology leadership and to maintain a technology edge for the long term.